Home » LTW: Revised FTA with the U.S.
LTW: Revised FTA with the U.S. 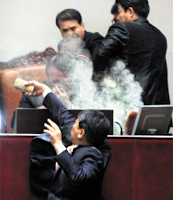 Pretty hectic two months in Korean peninsula. 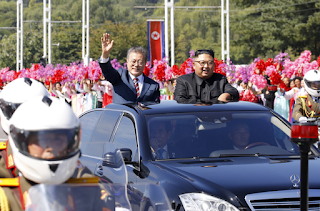 A few hundred separated families in S.Korea and N.Korea had a three day reunion in August while South Korean president Moon Jae-in took part time job to deliver N.Korean leader Kim Jong-un's love letter to Donald Trump after his car parade with Kim in Pyongyang in mid September. 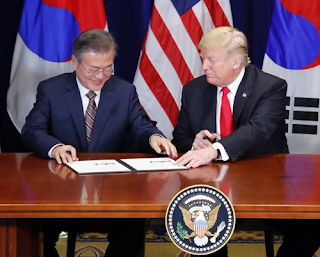 In a meeting with Donald Trump in New York on Sep 24, President Moon also signed a revised Free Trade Agreement in which the U.S. will extend 20 more years to impose 25% tax on Korean trucks until 2041, virtually barring Hyundai's entry into U.S. pick-up truck market, and US car makers can double their sales in Korea from 25K to 50K a year per manufacturer. 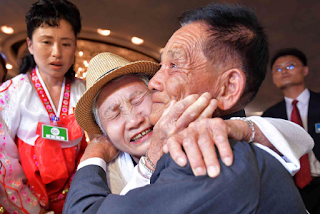 It was a revision lopsided in favor of the U.S. in general. " The new agreement includes significant improvements to reduce our trade deficit and to expand opportunities to export American products to South Korea," said Donal Trump. 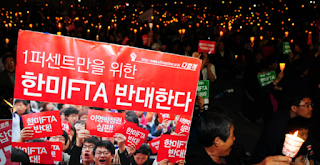 Moon Jae-in responded by saying "With the swift conclusion of the revision, uncertainty surrounding our FTA has been eliminated." 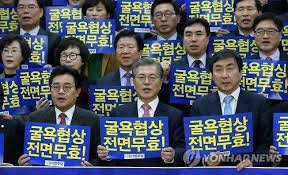 South Koreans have been worried the unpredictable Trump may scrap the whole FTA with South Korea. The U.S. is S.Korea's 2nd largest export market with 12.5% share, followed by China's 25%. It is a good thing that Pres. Moon signed the revised deal, but a bit irony that Moon was an active opponent of FTA with the U.S. when original pact went effect six years ago in 2012. Moon was at the center of his opposition party that had waged massive protests in the streets in Seoul while his crazy fellow lawmaker detonated a tear gas canister at the National Assembly to thwart the voting process on the FTA bill, claiming the Korea-US FTA is a monster that will ultimately kill Korean economy. Uhm... "If you flirt with a woman, you are in sinful adultery. If I do, I am in beautiful romance. "